Congratulations goes to Jake Ball on passing his driving test. Jake passed in Burton 20th November with just 4 driving faults. This will help Jake loads with getting to work. 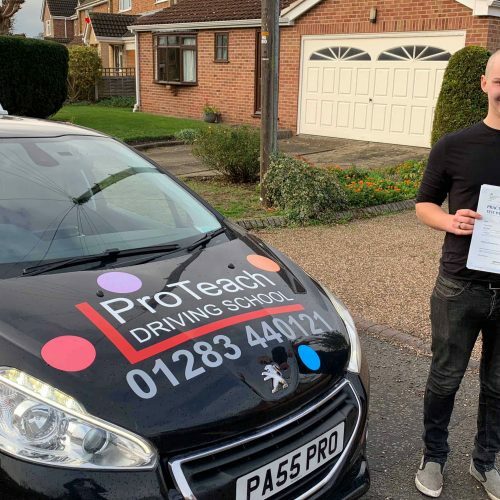 Well done from Matt and all the team at ProTeach driving School.